There are many reasons why an individual may be drug tested. This may be something that occurs due to drug use suspicion or may occur regularly due to a court order. Did you know that a pregnant woman might find herself in a position in which she is asked to take a drug test? Special care should be taken to ensure that drug testing pregnant women regulations are followed and that testing is done accurately. Take a look at the information below to learn more. Unfortunately, drug use does occur while pregnant. This is not only unhealthy for the pregnant mother, but also for the unborn baby. This is why drug abuse during pregnancy is treated so seriously. Women who have had serious issue with drug use in the past may be court ordered to continue drug testing through pregnancy. In some cases, a pregnant woman may also have to be drug tests when applying for a new job or if a current employer is suspicious of her drug use. Drug abuse during pregnancy continues to be a hot topic. Drug abuse cannot only cause permanent physical and mental defects to a baby – it can also be fatal. This is why more states are taking the matter more seriously and are taking steps to have regulations in place against pregnancy and drinking and consuming drugs. This doesn’t mean that every woman who is pregnant can just be randomly tested. A pregnant woman can be given a drug test to check if she has been abusing drugs. It’s important to note that she must give consent to a test before one is given. There are many cases in which pregnant women are drug tested in a hospital or medical setting without first giving permission. This is not okay or legal. Because of these situations, the Supreme Court has made rulings on the issue. For women with a history or drug use, steps are being taken to help make sure that they treat their bodies with care during pregnancy. There are many organizations that offer prenatal care to pregnant women in order to keep themselves and their babies healthy. Unfortunately, many women don’t take advantage of these services. 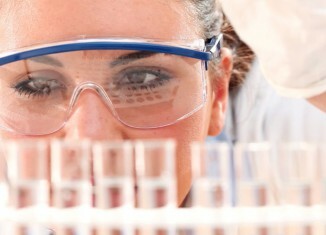 The Drug Test Blog discusses many issues related to drug testing, including drug testing pregnant women. Be sure to check back for more unique posts and updates.